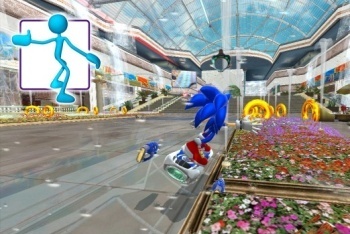 Take full control of Sonic and his friends in this Kinect racing game. 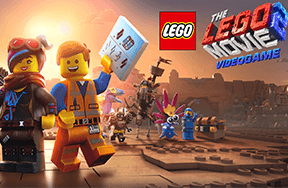 Hopefully your body and the Kinect camera is up for the task! 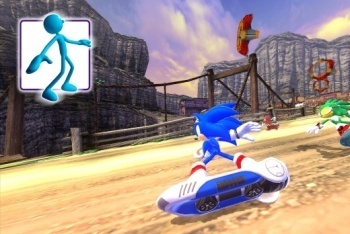 Sonic Free Riders is the third Sonic racing game where you surf on a hoverboard against Sonic's huge cast of characters. The twist this time is that you don't need a controller! Instead, you ARE the controller with Microsoft's new Kinect add-on. You get to jump and lean as if you were on the hoverboard and hope that your character does the same with the right timing. The body controls sound simple on paper, but are difficult to master: stand like you are on a hoverboard and lean to make turns. 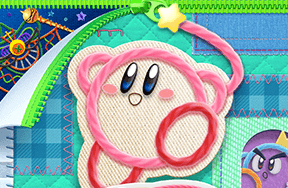 You can do tricks off jumps by jumping yourself and there are different weapons that require different motions. 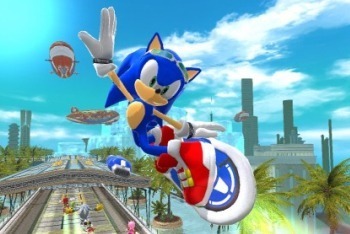 You can also switch out the hoverboards for bikes, which requires a different stance but is mostly the same. The race tracks are pretty fun and have lots of secret shortcuts to discover. 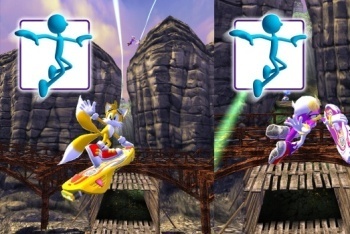 Aside from racing and taking out your opponents with weapons, you can collect rings on the track to power up your board. 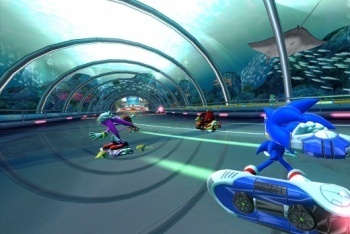 There are also challenge missions that asks you to perform certain tasks instead of just racing. The controls are either a hit or miss. Either you get it and the game detects you perfectly or you will face endless frustration and discomfort when the game refuses to acknowledge your existance. 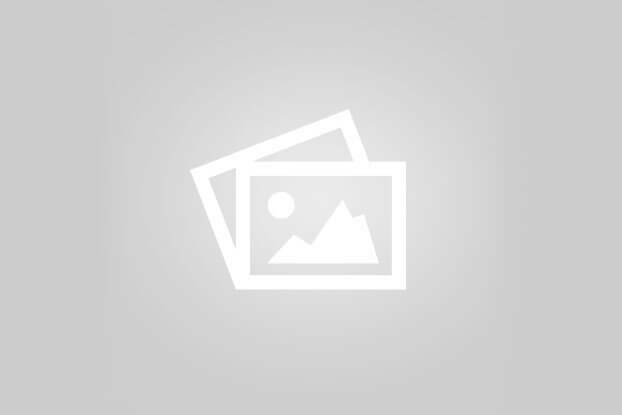 Menu navigation is especially annoying, as it is not 100% reliable. 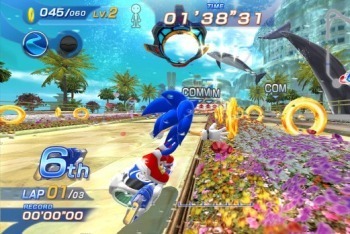 If the game detects your every move, Sonic Free Riders becomes an awesome and beautifully flowing game. However, if it doesn't, it quickly becomes a wall-thumping and board crashing mess. Also annoying are Sonic's friends, but if you can tolerate them and play without issues, then you will definitely have fun with this game. However, because the body detection is hit or miss, it is hard to recommend this game for everyone. Definitely try out the game first before buying. Which Racer is This? Guess! That's Amy Rose scoring some big air!